Do you want to learn more about our program? Do you need to check in and go over requirements? Drop by the Hort. Dept. office (H107) to discuss and then make an appointment with a counselor to petition before mid-March, 2017. Merritt College Landscape Horticulture now has a new Arboriculture program offering two Certificates of Achievement & an Associate of Science degree. This program was designed with input from local tree industry employers, and those employers are looking to hire our grads! Merritt College is home to one of the largest horticulture facilities in northern California. Our 7.5-acre facility includes 10k sq. ft. of greenhouse and lath house space; drafting & floral design labs; and the Emile Labadie Arboretum. Students on an associate degree track will be able to complete all required coursework within a two-year period, but students are free to work at their own pace. Merritt Landscape Horticulture is a Career Education program, and our programs are designed to equip students with the knowledge and experience needed to be job-ready, and to enhance/refresh the skills of those already working in the field. One or more certificates or degrees in Landscape Horticulture will be awarded upon satisfactory completion of the program requirements. Graduates and certificate-earners can find employment (including self-employment) in landscape design, landscape construction, parks and garden maintenance, tree care, nurseries, and more. Courses are offered both the day and evening year-round. A student may petition for a certificate upon satisfactory completion of requirements, or within the semester that final coursework will be completed. To earn an Associate degree, students must satisfactorily complete all units required within Landscape/Horticulture major, and must also complete (or have completed at another institution) all AA/AS General Education requirements. See college catalog for detail. The Basic Landscape Horticulture certificate program is intended for those students who are limited by time con­straints to a one-year program. Graduates with this certifi­cate can find employment at the basic or entry level in grounds maintenance or as a park worker or gardener. A Certifi­cate of Achievement will be awarded upon satisfac­tory completion of the certificate requirements specified below. Note: Students are encouraged to petition for all awards whose requirements they’ve met, but completion of the Basic Landscape Horticulture certificate is not required to qualify for higher awards. Create and maintain landscapes that provide basic human comfort and livability. Create and maintain landscapes that respect and respond to regional ecology, including plant community dynamics, soil mediums, water and moisture requirements, and sustainable potential in Bay Area environments. Communicate basic horticulture concepts to clients, contractors, and public agencies. 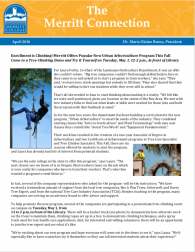 The degree major requirements consist of the same 41 units required for the Tree Climber Specialist Certificate. In addition, students must satisfy the 19-22 unit General Education requirements (see college catalog for description) to achieve the Associate Degree in Arboriculture. Students are not required to complete Gen. Ed. at Merritt College, and may receive credit for coursework completed at other institutions. Students may also substitute coursework within the major from other schools. The Intermediate Landscape Design & Construction certificate program trains students to work in the field of land­scape design/build. The curriculum provides studies in de­sign, construction, plant ID, and basic horticulture, topics that help a student obtain employment in the field, and pro­vide foundational training towards becoming licensed land­scape contractors and related specialties. A Certificate of Achievement will be awarded upon satisfac­tory completion of the certificate requirements speci­fied below. • Design and build landscapes that provide basic human comfort and livability, and meet client functional and financial needs. • Design and build landscapes that respond to regional ecology. • Communicate landscape design concepts to clients, contractors, and public agencies. The Landscape Design and Construction Specialist degree and certificate program provides additional training for students interested in working in the field of landscape de­sign/build. The curriculum provides advanced studies in de­sign, plant ID and basic horticulture, and provides founda­tional training towards working in a design/build firm, and obtaining a landscape contractor’s license, irrigation design certi­fication, and related specialties (lighting, water features, water management). To qualify for the Associate of Science in Landscape De­sign and Construction Specialist degree, students must satis­factorily complete the Degree Major requirements speci­fied below AND the AA/AS General Education require­ments. See the Associate Degrees and Certificates section of the college catalog for information regarding General Education require­ments. • Design and build landscapes that provide basic human livability, meet client functional and financial needs, and support community health and well-being. • Design and build landscapes that respond to regional ecology, and support principles of sustainability. *Select course(s) not previously taken. The Intermediate Landscape and Parks Maintenance certifi­cate program trains students to work as grounds or garden mainte­nance workers in a variety of settings, including public or private parks, golf courses, and commercial or residential gardens. The curriculum provides studies in basic horticulture, plant ID, and maintenance practices. These areas of emphasis can help a student gain employment in the field of landscape and parks maintenance with public works departments, landscape maintenance companies, parks and recrea­tion departments, or to start their own landscape maintenance companies. A Certificate of Achievement will be awarded upon satisfactory completion of the certificate requirements specified below. Note: Although the Intermediate Landscape & Parks Maintenance and the Basic Horticulture certificates require some of the same foundation coursework, the Basic Horticulture award is not required prior to achievement of the Intermediate Parks award. • Design landscapes that provide basic human comfort and livability. • Design landscapes that respond to and support regional ecology. • Employ maintenance practices that minimize the use of gas power tools, source material regionally as available, and recycle or compost yard waste to minimize the dumping of green waste. NEW REQUIREMENTS: New (2019?) Parks & Maintenance certificate/degree requirements: LH 206 Landscape Business Practices will replace LH 201 Landscape Maintenance Practices (certificate req. ); LH 17/17E Irrigation will replace LH 8 Turf (degree/cert); LH 81 Arborist Equipment will replace LH 21 Horticultural Equipment (degree req.) Catalog rights: Already on this track? Continuously enrolled students have the option of either current coursework requirements or those in effect at the time their studies began. See page 75, Merritt 2017-19 catalog. *Select course not previously taken. The Landscape and Parks Maintenance Specialist degree and certificate program provides additional training for students interested in working in the field of landscape and parks maintenance. The curriculum pro- vides advanced studies in horticulture, plant ID and maintenance practices, and provides foundational training towards working for parks & recrea­tion departments, public works, landscape maintenance companies, or for starting their own landscape maintenance business. To qualify for the Associate of Science in Landscape and Parks Maintenance Specialist degree, students must satis­factorily complete the Degree Major requirements speci­fied below AND the AA/AS General Education require­ments. See the Associate Degrees and Certificates section of the college catalog for information regarding General Education require­ments. Note: the parks degree requirements includes all intermediate requirements, but a students may petition for the degree without having first been awarded the intermediate certificate, in fact, students may petition for both the degree and the certificate simultaneously. Although some courses may have recommended preliminary requirements, courses without pre-requisites may be taken independently or when convenient, or as offered. Some courses may be offered infrequently, and students are encouraged to enroll in such infrequently offered courses when they are available. See page six for course offering projections/tentative scheduling. • Maintain landscapes to maximize for basic human comfort/livability. • Maintain landscapes to support regional ecology, low water use, and sustainable potential in Bay Area environments. • Employ maintenance practices that minimize the use of power tools, dumping of green waste, and vehicle use. The Intermediate Nursery Management certifi­cate program provides basic training for working in the wholesale and retail nursery industry. Students will learn growing and maintenance practices, basic nursery propagation, plant media, watering systems, fertilizers, pest and disease control, and plant evaluation. A Certificate of Achievement will be awarded upon satisfactory completion of the certificate re­quirements specified below. Note: Completion of the Basic Landscape Horticulture certificate is not required to qualify for the Intermediate Landscape & Parks Maintenance certificate. The intermediate certificate includes some of the same requirements to provide the appropriate foundations for this track. • Perform basic tasks and state-of-the-art ops. of a pro nursery person. • Identify plants by botanical name and evaluate their suitability for use in private and public landscapes. • Evaluate plant stock in terms of its regional origins, water-use requirements, and sustainable potential in Bay Area environments. • Identify individual organisms and apply biological systems including plants, fungi, microorganisms, animals, and people to local gardens. The Nursery Management Specialist degree and certificate program provides advanced training for working in the wholesale and retail nursery industry. Students will learn growing and maintenance practices for a wide variety of plant species, advanced propagation techniques, watering systems, basic soil and fertilizer chemistry, pest and disease control, and nursery business operations. To qualify for the Associ­ate of Science in Nursery Management Specialist degree, students must satis­factorily complete the Degree Major requirements speci­fied below AND the AA/AS General Education require­ments. See the Associate Degrees and Certificates section of the college catalog for information regarding General Education require­ments. A Certificate of Achievement will be awarded upon satisfactory completion of the certificate requirements specified below. Note: Students must satisfactorily complete the Intermediate Level Nursery Management requirements to qualify for the Nursery Management Specialist AS degree. • Perform state-of-the-art sustainable operations of a professional nursery person in both wholesale and retail nursery operations. • Demonstrate ability to grow and/or maintain nursery stock including basic nursery propagation, soils, watering systems, fertilizers, pest and disease control, and plant evaluation. • Demonstrate knowledge of all aspects of nursery management including the basics of financial, site operations, personnel, and marketing aspects. The Landscape Architecture degree program provides students with the basic foundation and skills to pursue a career or further education in Landscape Architec­ture. Course topics include design process and principles, site analysis, site planning, planting design, construction, topographic form, graphic representation, computer-assisted de­sign, and professional practice. Students with this degree will fulfill three objectives: Meet the minimum educational requirement to take the California Landscape Architects Registration Exam (LARE); obtain basic skills necessary to start work in a professional landscape design or design-build office; and get basic preparation towards transferring to a four-year or graduate program in landscape architecture. To qualify for the Associate of Arts in Landscape Architecture degree, students must satis­factorily complete the Degree Major requirements speci­fied below AND the AA/AS General Education require­ments. See the Associate Degrees and Certificates section of the college catalog for information regarding General Education require­ments. • Communicate landscape design and building concepts to clients, contractors, and public agencies through written reports, drawings, graphic images, and oral presentations. The Permaculture Design certificate program is designed to train students to work on the design, maintenance, and harvesting of a ten-year old, one-acre student farm/food forest. Students will also acquire a firm foundation in horticultural basics as well as have the opportunity to round out their ecological gardening skills by taking related classes in mushroom cultivation, beneficial beasts, and natural building. A Certificate of Proficiency will be awarded upon satisfactory completion of the requirements specified below. The Certificate of Proficiency is not indicated on the student’s transcript. Note: Students should see a counselor at least once each semester to plan for their educational goal(s). The Horticulture Dept. staff can also help with planning, including assistance with when classes might be scheduled. • Students who complete the certificate will be able to:Design gardens that merge landscape design, sustainable agriculture and applied ecology for people and organisms. • Manage the infrastructure web of social/ecological gardens, including people and plant communities, animal systems, soil generation, solar, and water systems.